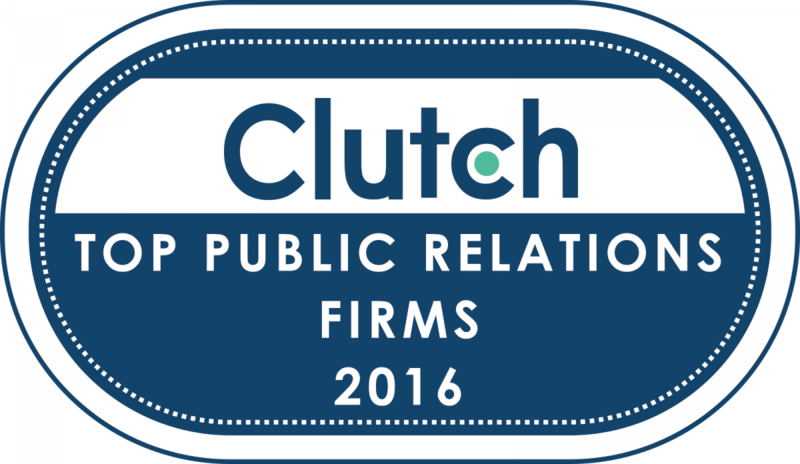 WASHINGTON, November 3, 2016 --- Clutch has released a report on leading public relations (PR) firms. The publication features US-based public relations agencies, each of which was evaluated based on their level of focus on PR and firsthand client feedback about their quality of service. The top PR firms for 2016 are: Bateman Group, BIGfish Communications, Pinkston Group Inc, EMSI Public Relations, Marketing Maven, Jones Social & PR, TrizCom PR, Blanc and Otus, NewmanPR, Firecracker PR, Taylor & Co., MediaSource, Shelton Interactive, Sonata Venture Solutions, and JJR Marketing Inc. Clutch analysts spoke to each company’s past and current clients to learn about their approach to crisis management, strategy development, and media exposure. The quantitative aspect of the research process is the Clutch Leaders Matrix methodology, a long-standing algorithm that maps each firm’s focus on public relations against their proven ability to deliver quality results to clients. Full-length profiles and client interviews are published on Clutch.co. Clutch’s research on the public relations industry is ongoing, and the ratings platform encourages interested companies to apply to be included in future coverage. A B2B ratings and reviews firm in the heart of Washington, DC, Clutch connects you with the agencies and software solutions that can help you enhance your business and meet your goals. Our methodology maps agencies and software solutions based on consumer reviews, the type of service offered, and quality of work.